I swear Joe McNally makes you want to put your camera back into your bag and never take it out again. I was watching Joe conduct a speedlight demonstration at PhotoPlus Expo. He was walking through some basic lighting options and creating magic right in front of us. This was the kind of photography that most people puzzle over for hours and maybe get by accident. Joes was creating magazine cover art in a matter of minutes. How did he get that good? How does anyone get that good? If you're working your way to becoming Joe McNally talented, there are three areas you should focus on: knowledge, opportunity and tools. Federal workers know that every job application asks you to discuss your knowledge, skills and abilities. On your application, you write a short narrative discussing how your formal work experience, education and training prepares you for the job you are seeking. Photographers can create our own equivalents of KSAs. 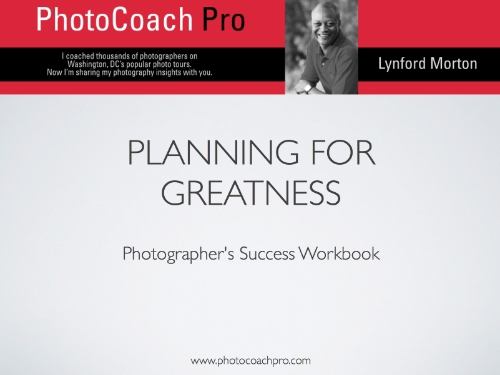 What will you need to know to be the photographer you envision? Assess any gaps that might prevent you from reaching your goals and create a professional development plan that includes workshops, schools, volunteering or mentoring. Learning comes in many forms, but it must be deliberate and intentional. He had just returned from the most exotic locations on the globe, and his photos were stunning. If I were going to create a new photography bucket list, each of those sites would be on it. Yet he had been to each of them, "working". I was watching a NatGeo photographer who was showing his work and sharing the stories behind his photos. The green monster started whispering in my ear. "If you dropped me into that location, I'm sure I could produce images like that," I muttered to myself. Haven't you ever thought that just being there was half the challenge? It's true that one of the ingredients for getting great pictures is choosing great subjects, but what if you can't make it to Machu Picchu or the Aurora Borealis? For most of us, our photo ops will be the focus areas and niches we choose right here at home. 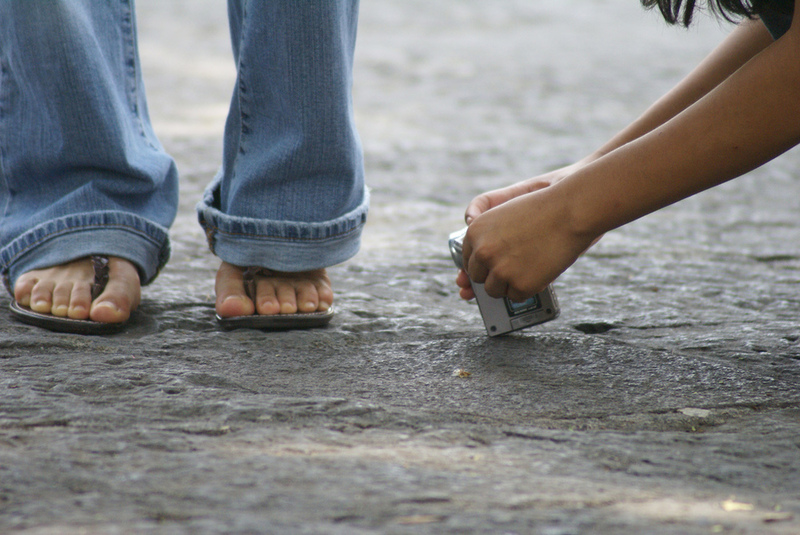 Create a photo project around a theme you are passionate about. The ordinary things we pass every day can take on new interest if we are working on a photo project. See some ideas here. You can see your neighborhood or city with new eyes if you narrow your photography thematically. Sometimes a niche can be the inspiration you need to find great photo ops. On our webinar, Finding and maintaining your motivation, our three guests showed how creating a niche helped them stay motivated to shoot more. You won't need to visit the 8 Wonders of the World, if you find a niche that makes you wonder wherever you might be. One of the things you couldn't help notice as Joe McNally worked was that he had a special tool -- lens, reflector, flash -- for every situation. I'm sure it helps to have access to all that gear, but you don't have to own the entire Cannon or Nikon line to create great images. You do have to choose the right tools, however. Do you want to be a portrait photographer? Pick one great portrait lens and master it. If you aspire to photograph weddings, then find out what tools you will need. Maybe you prefer to do travel or street photography with minimal gear. You always need the right tools for the right job. Your plan should include identifying the right tools and becoming your best at employing them. By the way, I intentionally left gear for last because you will be better at identifying the right tools after you have educated yourself and chosen your niche. Many photographers waste money buying tons of gear before learning what or how they want to shoot. While you are still finding your way, it might be more prudent to rent. Buy once you know what you will need to reach your goals. There you have it, three not-so-easy steps to becoming Joe McNally good, even great. While the steps may seem simple, it will take discipline and persistence. It's a constant work in progress. To help you focus your efforts, I created a downloadable PDF that you can use to determine where you are and what you need to work on next. Let me know where you are and how I can help.